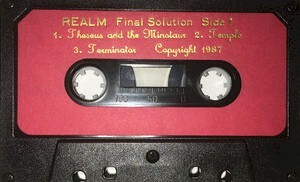 Realm formed in 1985 in Milwaukee. 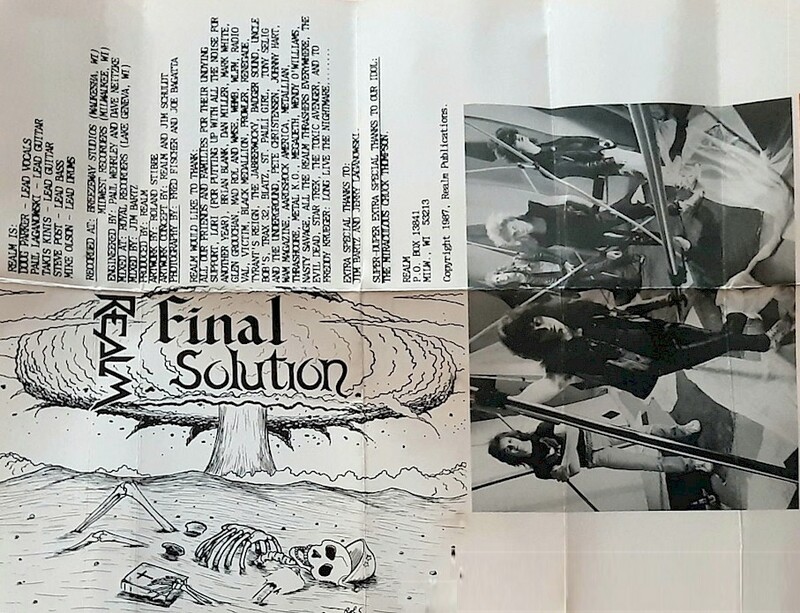 They released two underground demo tapes at first; Perceptive Incentive in 1985 and the landmark Final Solution in 1986. In 1988, the band signed to the up-and-coming Roadrunner Records label and released their debut album, Endless War, later that year. The album featured a classic cover version of The Beatles' song "Eleanor Rigby" that they converted into speed metal form. Regular Xeroxed covers. Tapes had stickers on the shell. Covers folded out to 8.5x11 size revealing a large pic of the band and thanks/contact info.